These are just notes I’m taking as I play from time to time out of nostalgia. This is neither a structured article nor one that goes all the way to level cap. It also doesn’t mention the very basics (such as learning the play the game or turning your letter in to your guildmaster). 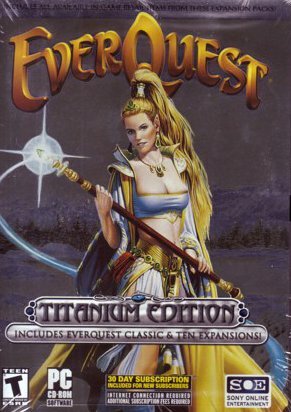 It is intended for people playing old-school Everquest, not the modern free-to-play version. This means either a “progression” server with Daybreak , or the oh-so shady underground of Project 1999 . I’m playing on Project 1999. I’m playing solo. The two characters in this guide are an Iksar necromancer (the traditional “screw y’all, I’m soloing” solution) and a welf druid (to experiment with charm kiting). As to writeups.org, it’s an encyclopedia about fictional characters – chiefly super-hero comics but also video game characters. You should explore it a bit, it’s cool. From time to time I throw in a small video game guide, because I have to take breaks from the huge amount of work to keep this great site running. And these often are video game breaks. The Iksar AC bonus at this stage is very significant. You regenerate life faster than mana, so conserve mana. It’ll go faster without a pet on Project 1999 given the pet xp drain. Might as well keep your Defense skill up while it’s easy. The life drain will keep the downtime low and work on your casting skills. You’ll want to kill skeletons (for bone chips, plus weapons and shield to sell) and scorpions (for their pincers for a quest). There’s a cloth armor vendor outside of Cabilis (ruined building to the left when leaving town), and the warlord for the scorpion pincers is in the other building. A skeleton with a shield means 1pp from vendoring the shield, which is two backpacks from just one level 1 mob that doesn’t run. Obvs, don’t forget to train one point in Meditate at level 4. And raise your Sense Heading and use your Forage from level 1 onward. Spiders mini-dungeon. Take a left on the grass after leaving Cabilis, go past two ruined pillars, look for a stone entrance on the side of a small, sharp hill (still on the grassy, wooded strip). Pull carefully, have a pet up but not too close. This spot will get you a lot of silk, a magic dagger with a tiny DOT, and a neck item with tiny resists. That’s really good for these levels. Recast weak pets, you’re in a zone flush with bone bits and you’ve been stockpiling them. For level 5 to 7, arm your pet with one of those damage 8 jagged swords from decaying skeletons, it’ll help a whole lot. 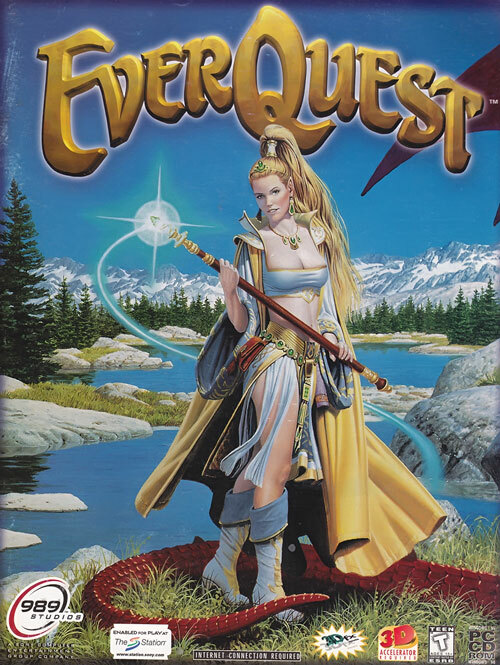 One-level differences mean a whole lot in Everquest, and that applies to your pet. A max-level pet makes everything faster and easier when soloing. Pulling from the ramps at the South end of the central pit. Bonebinders are choice targets for their abundant silk. Level 7 is a drag with a lot of time spent sitting on your tail while mana regens. And you should only engage at 90% mana, because you’ll expand that much on a so-so pull (say, multiple resists). Things start getting much better at level 8 with the new pet and the first Lich line spell. I mostly used aggro kiting. Darkness snare/DoT, disease DoT, poison DoT, pet set to no-taunt serving as an additional DoT, strafe in circles for most of the fight then melee near the end. I melee near the end for the same reasons as before – keep defenses up, spare the mana because life regens quickly, and because I’m not talking that much damage thanks to Iksar AC. On P99 it might also help beat the pet’s DPS for double the experience. First, spam Sense Heading via your preferred method after getting the initial points from your guild master. Greater Faydark is way, way easier to navigate with a good Sense Heading skill. Have a map of Kelethin handy. Run around with Skin like Wood and focus on wasp drones. Their loot stacks neatly, and they can drop venom sacs that sell for 3 golds. That’ll quickly buy you the backpacks you need. Decaying skeletons, as always, are also a good target for bone bits, cloth armor and rusty weapons (including, if you’re lucky, a scimitar to practice your 1HS and/or a 2HB weapon). There’s a quest in the ranger hall involving orc hatchets from orc pawns, but there aren’t too many of those in my experience. Don’t buy armour at this stage, you’ll see why at level 7. Pack all your equipment at the bank to run naked, and buy the necessary level 1 and 5 druid spells (including Flame Lick and Gate). Now let’s cross GFay and Butcherblock to take the boat, because we’re moving to West Freeport. Be careful in Butcherblock – on the trail between the first and second guard post there’s a nasty goblin who roams viciously. There’s also an aquagoblin that occasionally invades the port. IIRC there’s a bard mail quest between Kaladim and Freeport that you might as well do, but I didn’t remember about it in time. Oh, and keep spamming Sense Heading. That’s a fair bit of travelling, so why ? We want a fire beetle eye. At this stage you’re a subpar melee dilettante and have very few spells of actual use. Flame Lick is one, but you need a fire beetle eye. Flame Lick will raise your casting skills, make fights easier with the small DoT, make fights easier with the AC debuff compensating for your mediocre melee skill, is a great pulling tool, and gives you something to do beyond autoattacking. The Freeport newbie yard is an easy, safe zone with tons of mobs (including the ever-popular decaying skeletons), good visibility, nearby and easy-to-find merchants (I vendored with the wood elf lass between the entrance and the North Freeport zone-in). The orcs pawns in the newbie yard are an opportunity to do some faction work, and they drop axes for a quest. Stockpile those in your bank. Now, be careful. You’re still bound in GFay. While the odds of dying in West Freeport at level 4 are extremely low, you still want to be cautious. At level 5, learn your spells. One possibility then is to get a SoW from a high-level person, pack all your orc axes and do a delivery in West Commonlands to guard Vallon. The experience is really good at this level. But you want at least a SoW and perhaps a protective buff, because you’re only level 5 and still bound in Gfay. One lion (which are aggro to druids, for unfathomable reasons) could really wreck your day. Gate home. Now we’re working orc hill solo. Find guard Fayfear at the orc lift, run up the hill from him until you have a good view of the base of orc hill. This is your new base. You’re going to pull everything back to this spot. It is both away from roamers, and close enough to the guards if you screw up. So tag with Flame Lick, run back to your spot, fight there. At level 5, the roaming spiderlings are still blue and an easy kill that brings silk. They’ll green out soon, so might as well kill them before they do. Only pull orcs that con blue. You’re just a subpar melee dilettante with a few pieces of cloth armour, a small armour buff and small DoT. Nobody’s impressed. Not even white cons. With Harmony you can split clusters of 2 or 3 in a relatively safe manner. That’s a big edge. If you’re the only one working orc hill, feel free to pull the white and yellow orc spawns to the guards at the lift to clear the space and have a chance at blue respawns. Stay unencumbered so you can stay ahead of your pulls and quickly cross the space where there might be roamers. There’s a merchant just up the lift. Don’t forget that oracles cast flash of light, which’ll blind you. That could easily wreck a pull-to-guards-to-clear-spawns move, so leave white and yellow oracles alone. When fighting a blue oracle, if blinded – stop, turn around in roughly the direction of the enemy, engage auto-attack, gauge by sound whether you’re facing the enemy. Wait for the blinding effect to lift and reassess. Adds can of course be rooted, but your roots at this level don’t hold for too long so don’t get cocky. This is we’re pulling to a somewhat distant spot. You’re a bad melee type. You don’t have meditate. Your spells aren’t too impressive, except for Harmony since you solo. Life is bad. Level 7 is going to be a slog. So, screw that. Pack all your crushbone belts, run to Kaladim, take a left after going in, then a left into the warrior guild, find your good buddy Canloe in the back and hand the belts in 2 by 2. See level 7 fade away from the great experience, cover yourself in the pieces of tattered armour he’s throwing at you for free, observe as your faction with Kaladim types goes up to Amiable. One point to get the precious, precious Meditate skill started. The orc hills guys are starting to green out, but you should also pull and kill the green ones to give a chance for blues to spawn and for more crushbone belts for latter. Plus, on Project 1999 some greens still give experience (I don’t think the light blue con existed back then). Soloing orc hill is getting a bit tired, but at least with Meditate the down time is much lower. At worst, near the end of level 8, you might do another belts turn-in (as long as your melee skills are up to cap).